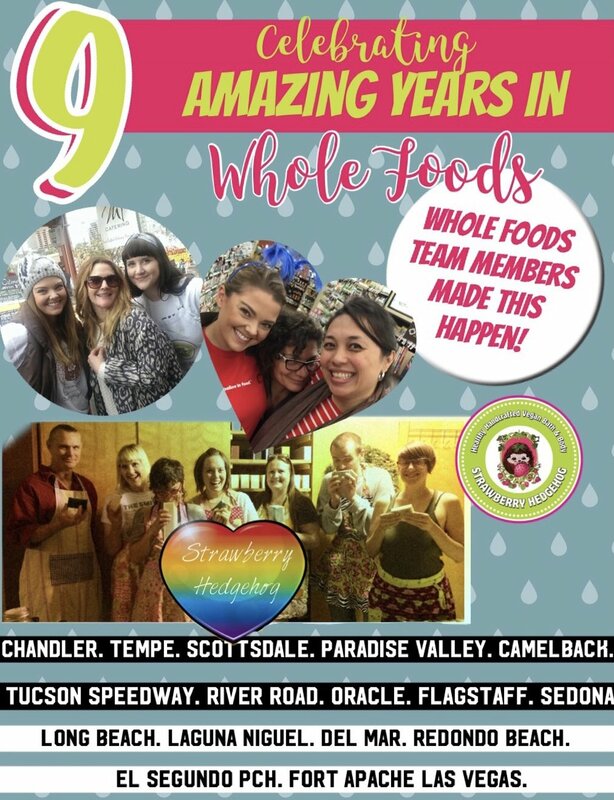 Happy 9 years in Whole Foods! Things have come a loooooong way in 9 years! 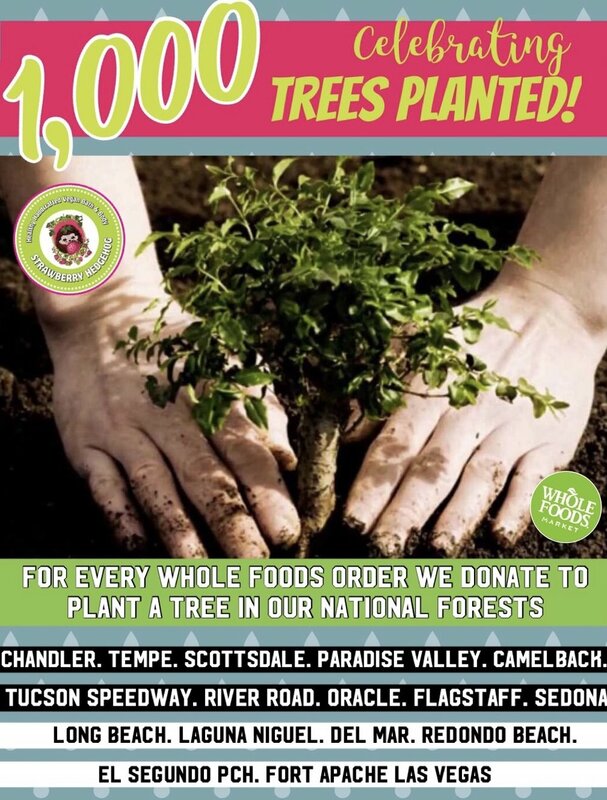 From starting with just one store while I personally make, package, invoice, deliver and display to every individual Whole Foods to now being in 16 Whole Foods across the Southwest we have ramped things up significantly over time. 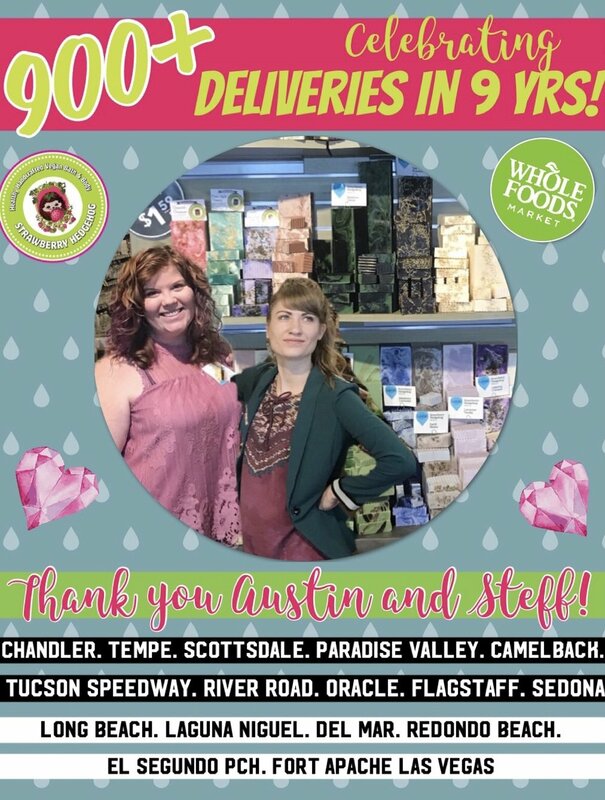 Gnomie Austin has been my right hand gal, second brain and BFF for years but it has been just over a year since she has taken on the position of Whole Foods Ambassador Gnomie! Because of her incredible attention to detail, beautiful eye for soap arranging, super charming, personable flare for the dramatic, patience with yours truly and her incredible relationship building we have had more deliveries this year than ever! She is the Queen of the Phoenix valley stores, personally weighing, invoicing, delivering, slicing and arranging to all 5 locations across the valley!!! She is now also in charge of making sure all out of town deliveries get put together with love and sent to where they need to be ASAP. One of those places she sends to is to Gnomie Steff in Tucson who has been helping us since February of this year and lovingly maintains the Oracle, Speedway, and River Road locations. One of the things we pride ourselves on is this personal attention and that wouldn’t be possible without these two! Thank you, ladies!! !